Actress Kareena Kapoor Khan is celebrating her 37th birthday today and wishes have been pouring in for her from all across. 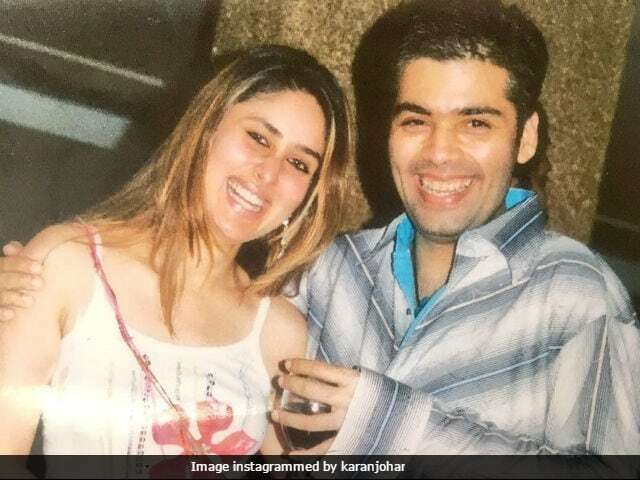 Filmmaker Karan Johar, her close friend and long-time industry ally, shared a collage on Instagram featuring him with the Kurbaan actress along with a wonderful caption that read, "Happy birthday to the sibling I wish I had!!!! Love you so much bebo." Kareena's best friend Amrita Arora also extended her best wishes for the actress on Instagram. She posted a picture in which she seen kissing Kareena on the cheek. "Happy happy birthday my darling beebo (sic)," wrote Amrita. Karan Johar has directed Kareena Kapoor Khan only once in 2001 movie Kabhi Khushi Kabhie Gham but he has produced films like Ek Main Aur Ekk Tu and Kurbaan which featured her in the lead role. Earlier this year, it was reported that KJo approached Kareena for his next venture but no official announcement has been made yet. Amrita Arora co-starred with Kareena Kapoor in Kambakkht Ishq and Golmaal Returns. Kareena Kapoor got married to actor Saif Ali Khan in 2012. The couple welcomed their first child Taimur on December 20, 2016. The couple co-starred in films like Omkara, Agent Vinod, Tashan and Kurbaan. Kareena Kapoor last featured in 2016 film Udta Punjab along with Shahid Kapoor, Alia Bhatt and Diljit Dosanjh. She is currently shooting for Shashanka Ghosh's Veere Di Wedding, co-starring Sonam Kapoor, Swara Bhaskar and Shikha Talsania. The film is slated to release in theatres next year.